"Lila is a novel about a particular woman and her particular story. It’s also about how life can settle around a person like dust, if they sit still long enough. It’s about having an innate sense of being different, even while working to fit in and avoid notice. It’s about the tenuous ties of family, and how close any given person ever is to being entirely alone in the world. 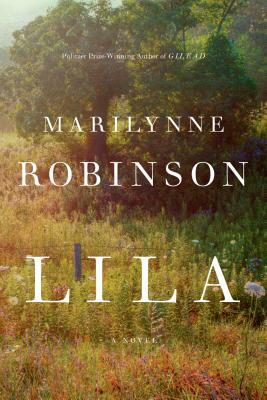 Perhaps more than anything, it’s about, as every Robinson novel is, “the wildness of things.” Lila comes to the end of her dangerous, peripatetic life, and starts to settle, but her heart is ever wandering. No writer more than Robinson can do justice to a restless spirit." Marilynne Robinson is the recipient of a 2012 National Humanities Medal, awarded by President Barack Obama, for "her grace and intelligence in writing." She is the author of Gilead, winner of the 2005 Pulitzer Prize for Fiction and the National Book Critics Circle Award, Home, winner of the Orange Prize and the Los Angeles Times Book Prize, and Lila, winner of the National Book Critics Circle Award. Her first novel, Housekeeping, won the Hemingway Foundation/PEN Award. Robinson's nonfiction books include The Givenness of Things, When I Was a Child I Read Books, Absence of Mind, The Death of Adam, and Mother Country, which was nominated for a National Book Award. She teaches at the University of Iowa Writers' Workshop and lives in Iowa City.